When Ed Muskie was asked if he would be willing to have the University of Southern Maine Public Policy and Management Program named for him, he said he had no desire for that kind of honor, but if the University felt it would do the university some good, he was amenable. He then gave the evolving school his enthusiastic support as an active member of the Board of Visitors. He was the leading advocate for naming it the School of Public Service. Ed Muskie, in many ways, exemplified the American Dream. Born in the western Maine mill town of Rumford, the son of an immigrant Polish tailor and a first generation daughter of a large Polish immigrant family, he was educated in Rumford’s public schools, worked his way through Bates College and Cornell Law School, saw combat duty in the U.S. Navy in World War II, served Maine as a state representative, then as state director of the federal Office of Price Stabilization, governor and U.S. senator, was the Democratic candidate for vice president in 1968 and a candidate for the Democratic presidential nomination in 1972, and served as Secretary of State in the Carter Administration. It was an unplanned ascent, fueled by a combination of his innate talent and his commitment to excellence, boosted by chance interventions and opportunities, and marked throughout by his passion for public service, a passion perpetuated by the school that bears his name. In and through the Muskie School his legacy is a resource for learning by faculty, staff, students and the beneficiaries of the School’s research and outreach. Ed Muskie was a transformative leader, in Maine and on the national scene. His election as governor in 1954 marked the beginning of Maine’s change from a one-party state to a competitive political arena. As governor he initiated budget reform, government reorganization, water pollution abatement, and school consolidation. As senator he was a pioneer in developing national air and water pollution reduction and environmental protection. He used his experience as governor in strengthening intergovernmental relations and applying creative tools to urban and metropolitan needs. He collaborated with Republican colleagues to reform the federal budget process. At every stage he sought ways to enable Maine to make effective use of federal resources pertinent to Maine’s needs. Following his government service he continued to lead, working for equal access to justice in Maine and fostering academic contributions to public policy and management. There are two major aspects of the Muskie legacy: (1) the tangible results of his work and leadership in federal and state laws, policies, programs and projects; and (2) the examples and lessons from his work ethic, his professional skills and his philosophy of democratic governance. Documentation and descriptive information on the Muskie legacy are readily available from a number of sources, notably the Edmund S. Muskie Archives and Special Collections at Bates College, several biographies and symposia. A list of resources and links is attached to this paper. A brief listing of Ed Muskie’s major public policy accomplishments coincides with the scope of the Muskie School’s offerings. Most of them are still bearing fruit. As governor, he initiated the water pollution control effort with the water classification act and support for municipal sewage treatment plants, kicked off school consolidation efforts with the School Administrative Districts Act, and took the initial steps in government reorganization. As senator, he chaired the Air and Water Pollution Subcommittee, and authored the Clean Air Act of 1963, the Water Quality Act of 1964, the Clean Air Act of 1972, and the Clean Water Act of 1972. 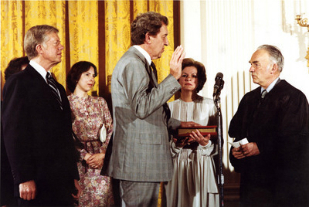 He chaired the Subcommittee on Intergovernmental Relations and co-authored the Budget Act of 1974, serving as chairman of the newly created Senate Budget Committee. Building on his experience in the Intergovernmental Relations Committee and his membership on the Advisory Commission on Intergovernmental Relations, he authored the section 701(g) amendment to the 1965 Housing and Urban Development Act that provided needed funding for planning by the regional councils of governments. He was a key member of the group that developed and was a sponsor of the National Historic Preservation Act of 1966. Asked by the Johnson Administration to rescue the Demonstration Cities and Metropolitan Development Act of 1966, he authored revisions in the legislation and managed its passage in the Senate and final enactment. He was instrumental in promoting implementation of the Portland Model Cities project. Working with Secretary of the Interior Stewart Udall, State Senator Elmer Violette, other state officials, and environmental groups, he led in the 1966 creation of the Allagash Wilderness Waterway as the first state wild river under the federal Wild and Scenic Rivers Act. Following his retirement from the Senate and his service as secretary of state, Ed Muskie chaired the 1989 Legal Needs Study of Maine and subsequently assisted Judge Frank Coffin with the Justice Action Group, contributing to major improvements to access to justice. Ed Muskie’s legislative assignments did not include service on the committees dealing with health and human services, but he was a strong supporter of the creation of Medicaid in 1965 and a co-sponsor of the act creating Medicare in 1965. Ed Muskie was a consummate professional. Whatever task he undertook, as a lawyer, as OPS state director, as a political candidate, as governor, as senator, as secretary of state, or as a volunteer on a civic project, he gave meticulous attention to detail and preparation. In the course of his research and analysis he was always challenging his own and other perspectives. Throughout his career he sought information and advice from outside his own areas of expertise, drawing particularly on the fruits of scholarship. Only when he was satisfied with the information he had gathered would he marshal his arguments for advocacy or debate. It was a pattern he learned as a student in high school and in college, particularly in his experiences as a debater. There were times when his patterns of deliberation caused him political problems, particularly in his quest for the Democratic presidential nomination in 1972, but his rigorous approach made possible his successes in affecting the course and sustainability of public policy. He was more than a brilliant master of research and logical argument, however. Brooks Quimby, his Bates debate coach, had taught him that the object of debate was not to defeat the other side, but to persuade others to agree with you. Ed Muskie applied that lesson in public policy development and in politics. Over time he perfected the arts of politics and policy through the practice of patient, persistent persuasion. Inherent in his use of the techniques was his understanding that persuasion is not a one way street. It requires listening and a willingness to be persuaded by others in reaching agreements on desirable actions in pursuit of the public good. To Ed Muskie, this was the essence of democratic governance: civil discourse based on valid, tested information, directed toward the achievement of the ideals of the Declaration of Independence, the Preamble to the Constitution, and Lincoln’s Gettysburg Address, and attuned to the requirements of checks and balances in a free society. The ways in which Ed Muskie used his talents, his intellectual rigor and discipline and his passion for public service and his adherence to the principles of democratic governance constitute his most important legacy, recorded in his achievements and in the records that are available for those who are a part of and those who benefit from the Edmund S. Muskie School of Public Service. Photo Credit: Ed Muskie being sworn in as Secretary of State by his former political colleague and long-time friend Judge Frank Coffin. Edmund S. Muskie papers, Edmund S. Muskie Archives and Special Collections Library, Bates College. Married Jane Gray (1948); children: Ellen, Stephen, Melinda, Martha, Edmund, Jr.
died, March 26, 1996, Washington, D.C. 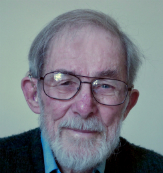 Connecting Law and Legislature: the Legacy of Ed Muskie, Maine Law Review, V 67, No. 2, 2015.
articles from November 2014 symposium honoring Ed Muskie centennial year. political biography covering 1969-1972 campaign years. Don Nicoll was born in Boston, MA, educated in Boston public schools, Colby College (BA, history & government), and Pennsylvania State (MA, history & government). He was executive secretary of the Maine Democratic Party (1954-1956), administrative assistant (1957-1960) to Congressman Frank M. Coffin (D-ME/2), legislative assistant and news secretary (1961), administrative assistant (1962-1971) and advisor (1972-1996) to Senator Edmund S. Muskie (D-ME). His career also included: chairman and CEO (1973-1975), Joint Operations Committee, New England Land Grant Universities; vice president for planning and public affairs (1975-1986), Maine Medical Center; and independent program and policy consultant (1986-2006). He has led Maine state committees, commissions and task forces on government organization, state compensation policy, the mental health system, information technology and telecommunications, and the Allagash Wilderness Waterway. He is a member and former chair of the Muskie School Board of Visitors.